VENDUE COMPLETE AVEC TOUTE LES PIECES EN MA POSSESSION DISPONIBLE DE SUITE . CT OK PAS DE FRAIS. IL RESTE PREPARARTION ET PEINTURE A FAIRE, CAPOT DE 205 AUTO DESSUS MAIS J AI L ORIGINALE AU CAS OU VOUS PREFEREZ. JANTES DEJA REFAITES AVEC 4 PNEUS NEUFS HANKOOK. 7000€ A DEBATTRE DANS LA LIMITE DU RESONABLE ON EST ENTRE PASSIONNES ONT SAIT DE QUOI ON PARLE. JE RESTE DISPONIBLE POUR TOUTES VOS QUESTIONS. 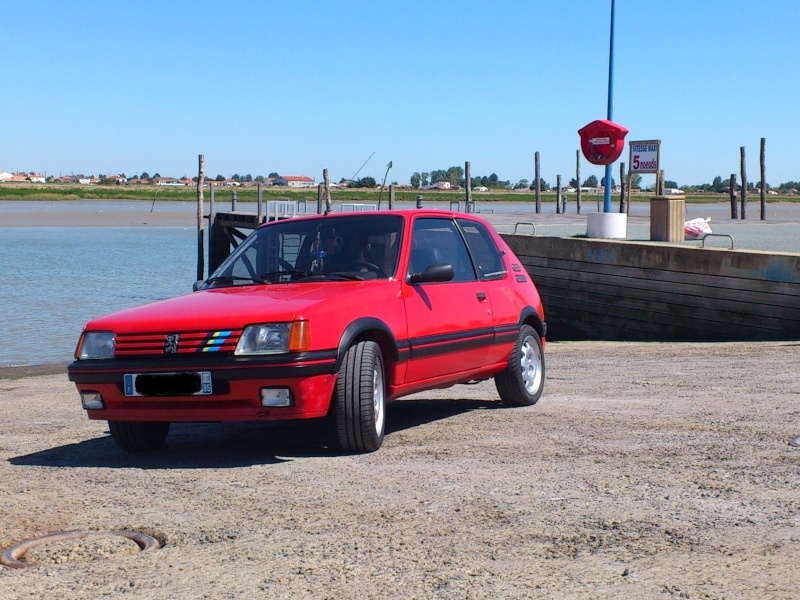 elle est toujours dispo votre 205 gti? ok, ou peut on trouver les photos?